The Honda Aircraft Company started accepting HondaJet orders at the National Business Aviation Association Convention on September 27, 2006. Honda Aircraft originally expected to deliver the HondaJet to customers in 2010, however they moved the launch date up to 2013. Honda Aircraft has not announced how many HondaJet orders they have at this time. Also Sun Airlines has not spotted any one selling their HondaJet order position. Due to these factors the number of HondaJet orders are unknown at this time. To learn more about the HondaJet visit our other HondaJet pages. HondaJet Orders are also referred to as the Honda Jet orders, Honda HA-420 orders and the HDJT Orders. 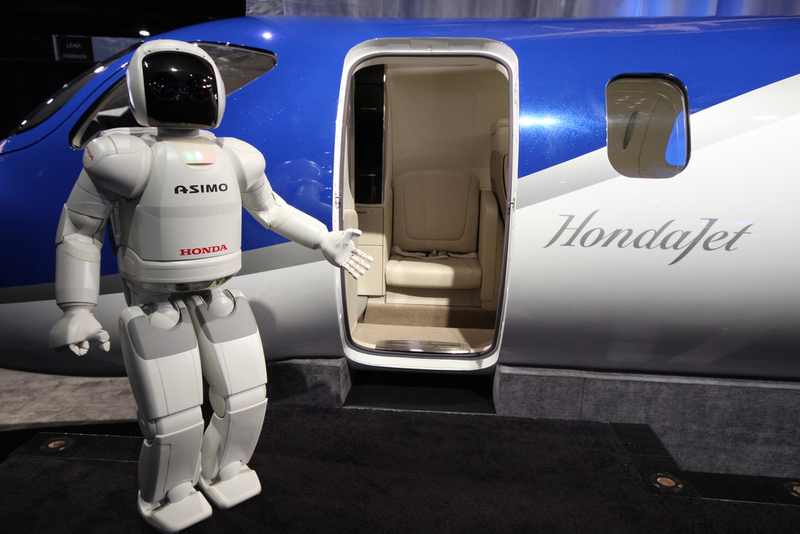 Above HondaJet Orders Photo at NBAA 2010 by Honda News on Flickr. Photo (only) released under a Creative Commons License.